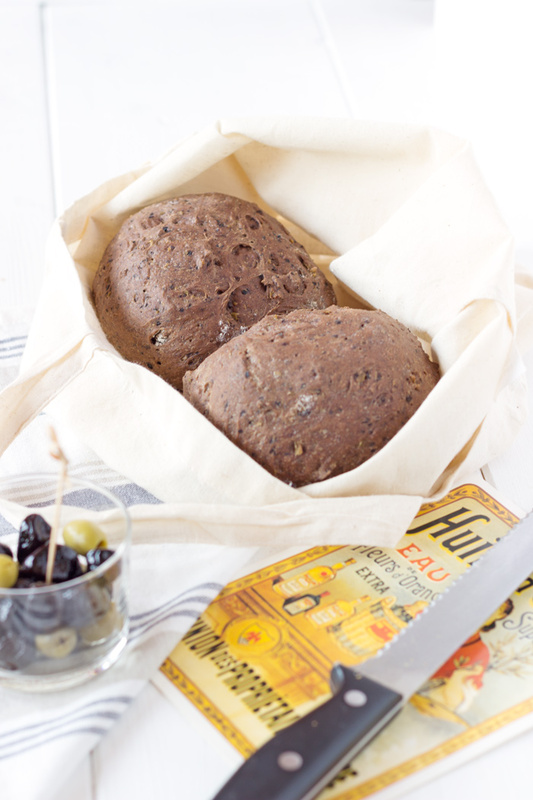 Did you have the chance to try my beetroot bread yet? Colour is quite funny and the taste is really good. But this olive bread was just amazing. I do not have words to describe how wonderful it was. 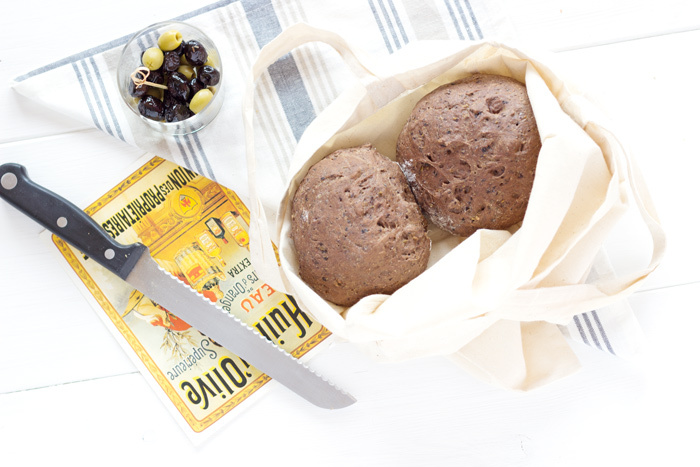 You can really taste olive and you can eat this bread without adding anything. You have a piece of south of France in your mouth. The bread itself is tasty enough. 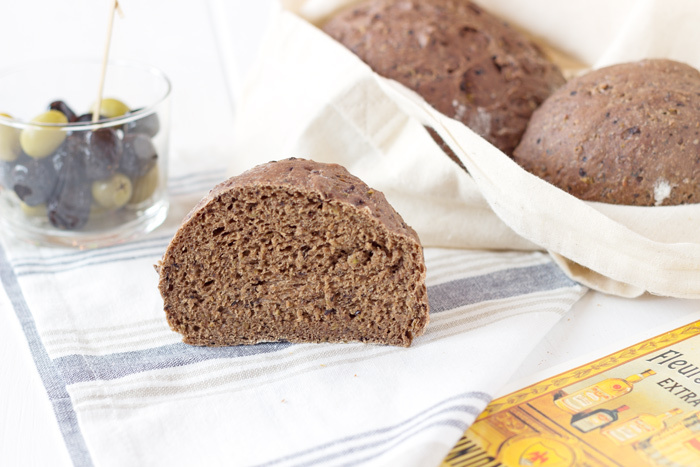 I was really impressed because the next day, bread was still soft and delicious. I will bake soon another batch. And you? Seed olives. Mix or cut finely. Mix flour, salt and sugar. Make a hole. Pour water and olives. Mix using your hands or a food processor until you get a homogeneous dough. Wrap in cling film leaving some space for the dough to raise. Leave to rest for 1 hour 30 minutes. Make two balls. Place on a baking tray covered with greaseproof paper. Brush with water and leave to rest for another 30 minutes. Preheat oven to 240°C (470°F). Add some water in a little oven dish. Place on baking tray next to breads. Bake for 5 minutes. Low temperature to 180°C (350°F) and bake for another 20 minutes. Remove from oven and leave to cool. Thank you very much for reading. Register to the newsletter or follow me on social media media to receive the latest recipe of a French girl “cuisine”.